This pun elicited a significantly higher groan-to-chuckle ratio than my Rwanda one did. We went so off the beaten path this time I can honestly say I don't know anyone who's been to this country by choice (or maybe even at all). 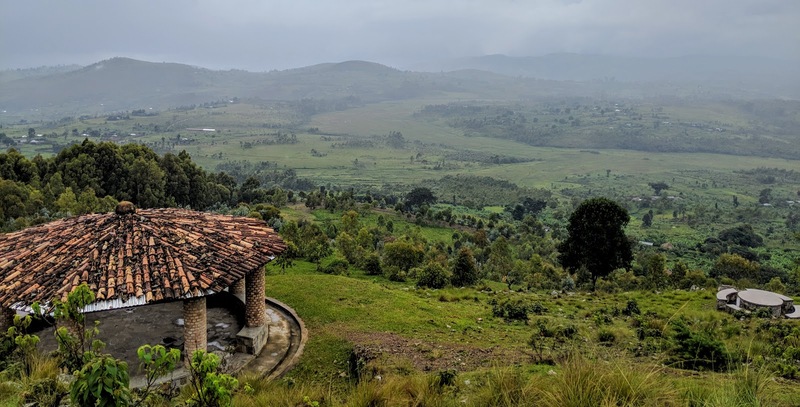 * Burundi doesn't have much of a reputation as a tourist destination, and to be honest I would not recommend it for the faint of heart - experienced and intrepid travelers only! Once we actually arrived in country, though, I was glad we'd gone. Burundi is unlike anywhere any of us had ever traveled (and we travel a lot). Its tourism sector was fairly nascent, which was readily apparent throughout our trip. As just one example, we were the only visitors we saw in the entire country, including at every single stop on our day tour with Augustine Tours (the only major tour company we could confirm online). English was extremely limited, so I dug up my high school French skills for an intensive 12-hour immersion and constant conversation with locals and interpretation for M and S. By the end of the day, my brain was fried! We visited some very cool sites, such as the reputed source of the Nile (which we've noticed several East African countries claim). Regardless, we learned about the interesting history of European explorers searching for the source of the Nile and the journey of the German who discovered the site we visited in Burundi. He even had a pyramid erected there to pay tribute to Egypt! I definitely wasn't expecting to see a tiny stone pyramid on a mountain in Burundi. 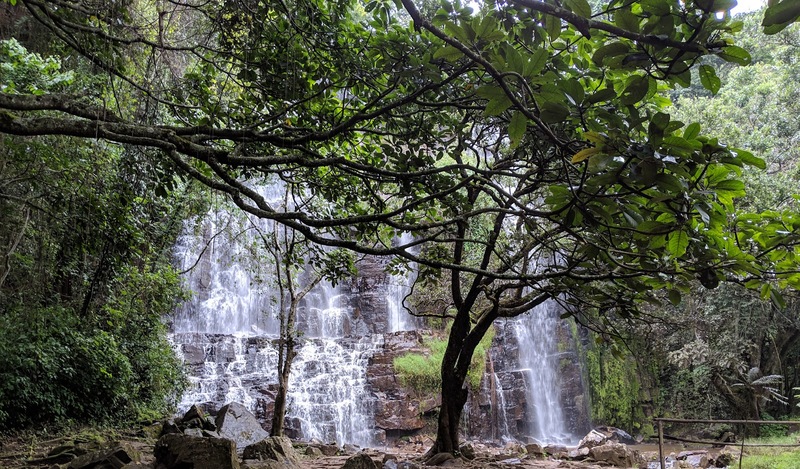 Then we took a quick hike to go enjoy the stunning Karera waterfalls surrounded by a lush tropical jungle. We didn't have time to hike to all five of the falls, but I wish we'd been able to do it! Our final stop was the Gishora drum sanctuary. Drums played an important role in the historical monarchy in Burundi, and we learned a lot about royal life (like the king's hut pictured below), Burundian drum culture, and conflict during the colonial era. So in our short time in Burundi, we got to experience a taste of its rich culture, history, and nature. 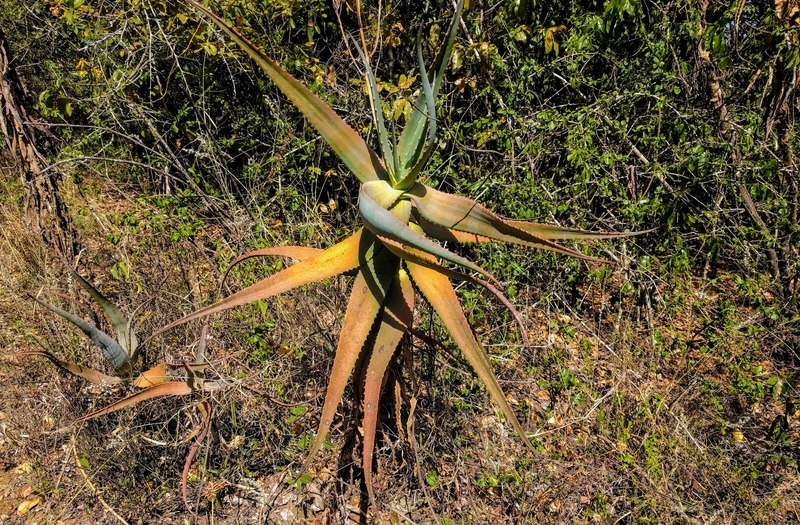 We appreciated the uniqueness of this particular visit, something that is so difficult to achieve in an increasingly globalized, commercialized, and homogenized world. At the same time, we also learned not to take the comforts (e.g., English speakers, online visa applications, hotels without cockroaches, etc.) 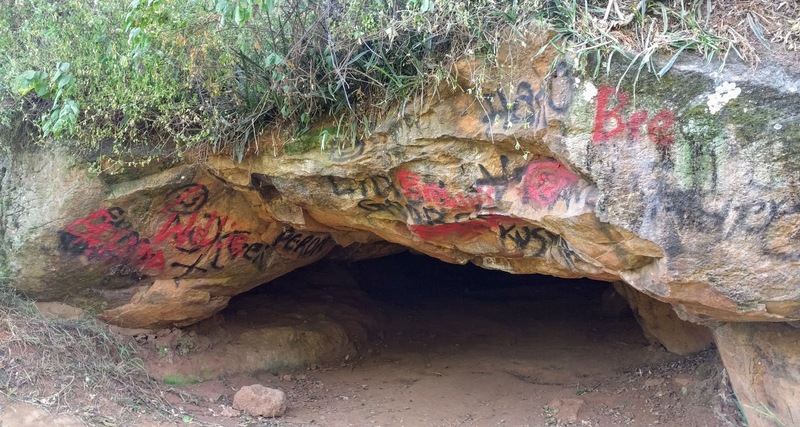 of our more common tourist experiences in Kenya and elsewhere for granted. Especially after a trip like this, there's nothing quite like coming home and using your own shower and sleeping in your own bed! 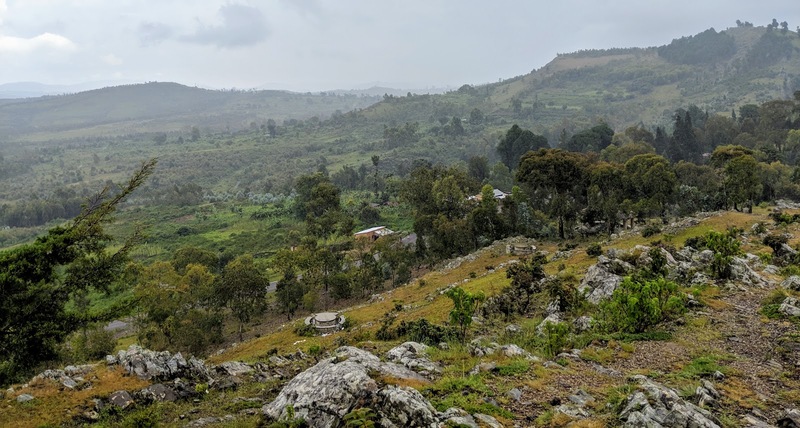 *CORRECTION: I definitely underestimated my intrepid and adventurous friend circle, because after publishing this post I learned I knew at least two people who have traveled to Burundi! What a small world. Did you enjoy my pun in this post's title, a riff on a famous line by J.R.R. Tolkien in The Lord of The Rings? I'm fairly proud of it. We just wrapped up a fun weekend in Rwanda and Burundi with S, one of my best friends from back home who's visiting us in Kenya. 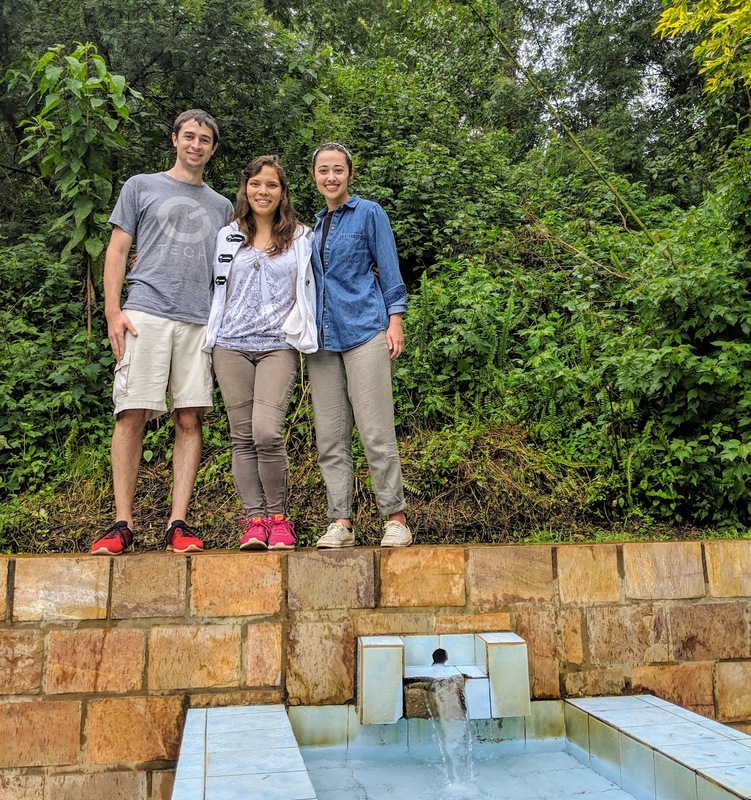 This post is dedicated to our time in Kigali, Rwanda - I'll do a separate post for Burundi. We covered a lot in our few days in Kigali. The clear first stop for history nerds like me (and to an even greater extent S) was the Kigali Genocide Memorial, which serves as a public museum as well as a burial site for about 250,000 of the more than one million victims of the Rwandan genocide in 1994. The museum wasn't huge, but it was very well curated, organized, and maintained. The exhibits and stories shared within its walls were very powerful; I couldn't help but feel the waves of emotion I felt years ago visiting Buchenwald Memorial, a former Nazi concentration camp in Germany. The patterns repeated in history were chilling. Above, for example, is a photo of some of the propaganda used to prepare the population to commit and accept genocide. The museum also had an exhibit with overviews of other genocides committed around the world, drawing parallels and helping visitors understand how these atrocities were committed (and hopefully, in the long-term, how they can be stopped). As impactful and painful and recent as the genocide was, it doesn't define the country or its people. It's one of many, many things that are important for understanding Rwanda today. In recognition of that, we went to check out a small slice of Kigali's bustling art scene at Inema Arts Center. Many of the pieces were breathtaking, and we could easily see how the center was able to support not only classes for children but 14 artists-in-residence! Nevertheless, after a quick perusal of the prices, we quickly learned that none of us would be able to afford any of the art in the gallery. 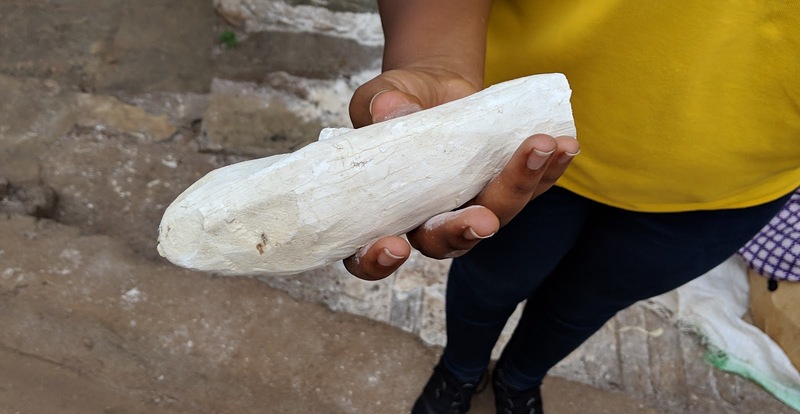 We also enjoyed some of Rwanda's rich food culture, from traditional Rwandan food sharing many of Kenya's staples like matoke and cassava (the starchy root vegetable that looks like chalk pictured above) to high-end fusion like chapati tilapia tacos with guacamole. 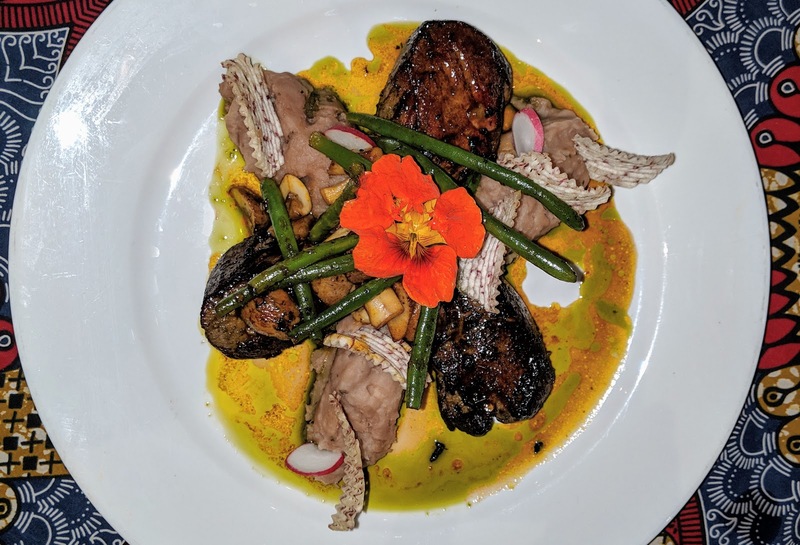 M was even pleasantly surprised to enjoy a deliciously tender medium rare steak (pictured below). Interestingly, I also learned ugali (the maize flour cake staple of Kenyan cuisine) is commonly made in Rwanda with cassava flour instead. On our last day in Kigali, we did a walking tour with the Nyamirambo Women's Center, which I can't recommend highly enough. They have a cooking class, basket-making class, and a few other options, but we chose the basic neighborhood walking tour. We started in the women's center itself, which had a beautiful array of handmade products created by local women whose skills have empowered them to become self-reliant (and the center to become self-sustaining). It's an extraordinary accomplishment considering how many similar organizations try and fail to equip beneficiaries with livelihood skills to the extent that external donations are no longer needed to keep everything running. 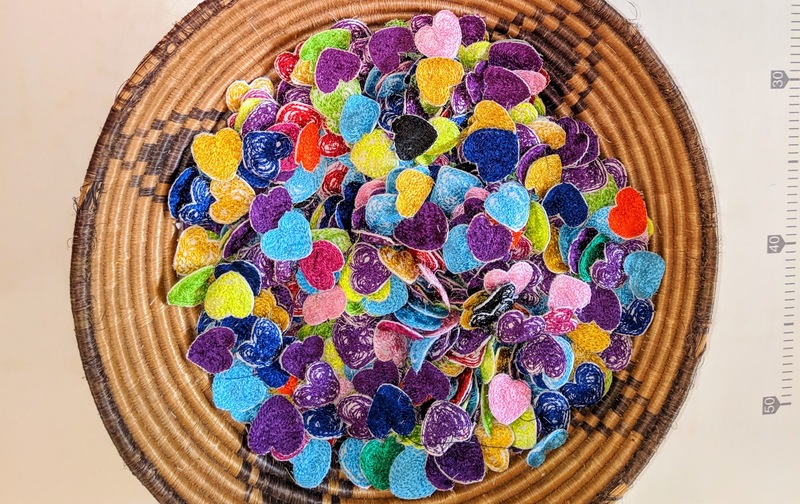 All the women sew one of these fabric hearts somewhere on each product as a symbol of their success as a cooperative and as a sort of signature trademark. The Nyamirambo neighborhood was a very interesting place with a large Muslim community composed of those who were brought from Tanzania by German colonialists as translators. 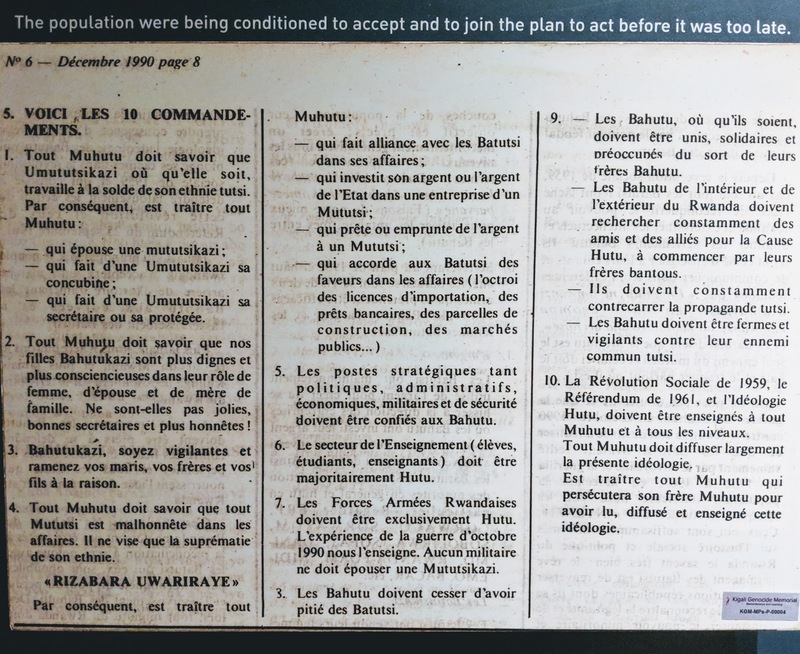 After the 1994 genocide, many more Rwandans converted to Islam because of the unique role Muslims played hiding many Tutsis and saving countless lives. One distinct feature of this conservative Muslim area was the lack of any alcohol in sight and the unique institution that arose to meet the demand for a venue for libations, conversation, and friendship: the milk bar. 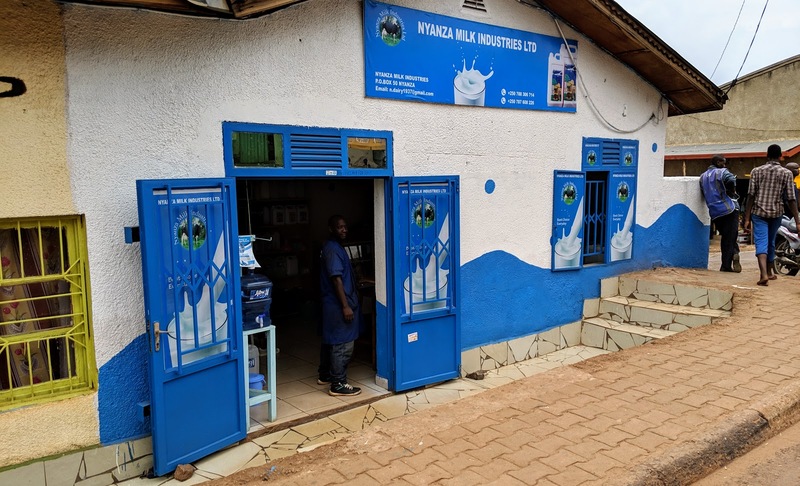 It's exactly what it sounds like: a bar where milk is served instead of alcohol, made even more popular by the fact that drinking milk is a big part of Rwandan (like Kenyan) culture. Sounds like a great time to me! 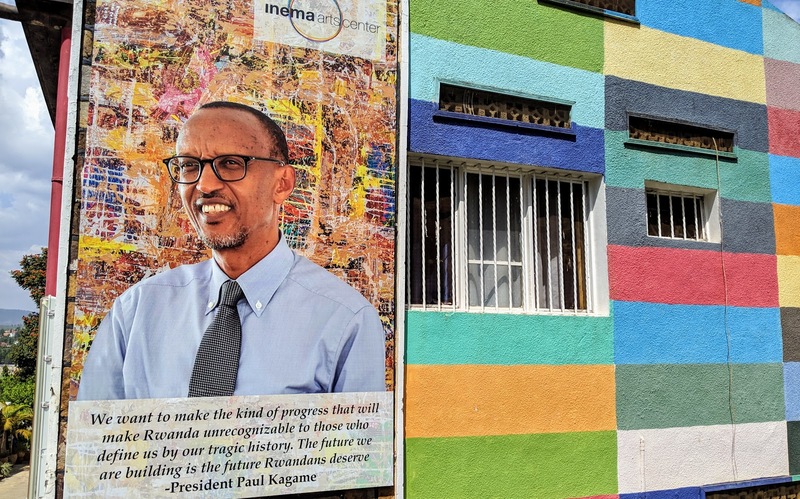 So although Rwanda is known for its gorilla treks (which proved too time-intensive and costly for us this time), our trip shows there are plenty of other things to experience in even just the capital of Kigali. If we're lucky, we'll be back someday to do it all!